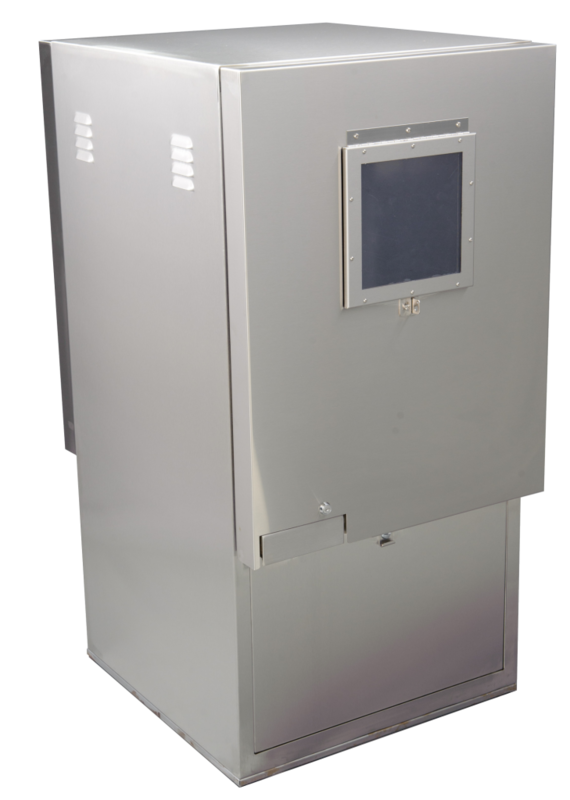 The metered controller enclosure shall be a double door design positioned front and back, vandal and weather resistant, manufactured entirely of stainless steel. The front section shall house a UL listed, E.U.S.E.R.C. approved 100 Amp rated commercial meter socket with test block bypass provision. The back section shall be louvered upper and lower body to allow for cross flow ventilation. Filter screens shall cover all louvers to deflect against water spray, insects and dust. The back section shall have a stainless steel backboard provided for the purpose of mounting a controller. The backboard shall be mounted on four stainless steel bolts that will allow for removal of the backboard. The inside door area shall provide adequate storage for plans, operating instructions and scheduling information. The enclosure shall have continuous stainless steel piano hinges on one side of each door. The edge of the door shall be hemmed to eliminate any sharp edges. The handles controlling the locking mechanisms shall be located at the base of the doors and be concealed within the surface of the doors. The provision for pad-locks shall be included within the locking mechanisms. The enclosure shall be manufactured with a continuous drainage channel which mates with a tear-drop shaped, hollow center, watertight, thermoplastic door seal. 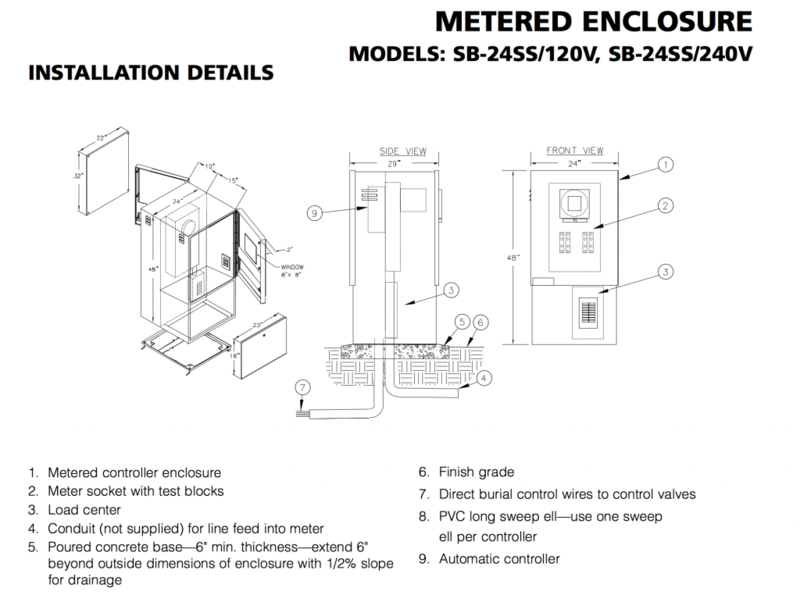 The above described product shall be a NEMA TYPE 3R Rainproof enclosure as listed by Underwriter Laboratories, Inc.